Valentine’s Day is the happy time of the year when decorations are all red, white and pink. Glitter-covered paper hearts are everywhere, and the air practically shimmers with fun and excitement. No matter if you are single, married, or in a relationship Valentine’s Day can be a fun and exciting time of the year when everyone wants to feel (and look) fabulous. Here are few simple tips for having a fabulous time enjoying this lovely season. Got a shade of red lipstick in your collection that you have been saving for just the right occasion? Go ahead and wear it. The whole month of February the colors of red and pink are everywhere so why not go ahead a let your lips match the season? Valentine’s Day would be the perfect holiday give that crimson, or firecracker red shade a try. Bright, and bold red not your color? Try instead a cute shade of pink. It is still flirtatious but in a more subdued way. No matter if you are just spending a quiet night in or relaxing after exciting date or party, a bubble bath is almost always great way to end your day. Want to really spoil yourself? 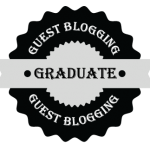 Consider tossing in some rose petals. If you really want to have an at-home spa experience consider playing some soothing tunes as you soak. Feeling adventurous? Ever thought about bathing in chocolate? 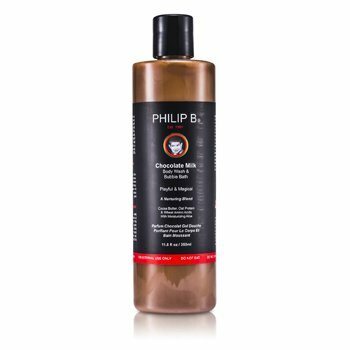 Although the idea of really in bathing in chocolate may be too sticky of an idea, consider instead a chocolate scented bubble bath like Philip B Chocolate Milk Body Wash & Bubble Bath . Have your eye on those red-and-white cupcakes? Go ahead and eat one. Allow yourself to enjoy a sweet treat (or two ) this Valentine’s Day. Looking for a lower calorie treat? Try out a sweet sugar body scrub, like Payot Gommage Mineral Brown Sugar Body Scrub that will leave your skin super-smooth, and smells nearly good enough to eat. In a hurry? You can still enjoy a sweet sugar rush, when you are in a rush. Try a spritz of candy-sweet perfume like Pink Sugar . Don’t be surprised if people might linger when they hug you. This perfume smells extremely sweet and delicious. Some people just can’t get enough of a sweet smelling perfume. No matter what your relationship status is on February 14th, you can still have a fun, exciting, Valentine’s Day. Trying out a few of these simple and fun tips are sure help you to have a memorable and happy Valentine’s Day that you will likely be able to enjoy and remember fondly for years to come. Those are wonderful & fun tips Marisa! Yes I will wear red lipstick (love it!) and take a long luxurious bubble bath,……HAVE A GREAT VDAY MARISA!!! I did the bubble bath. And you’re right. I felt fabulous.